Alexandra von Furstenberg obviously agrees and with her pedigree she has it down pat. The design guru is the former daughter-in-law of fabled fashion designer Diane von Furstenberg and the sister of Marie Chantal, Crown Princess of Greece. This Blue Fearless Cocktail Tray is just the thing to bring out at your next summer drinks party, perhaps with blue or green cocktails to match?. 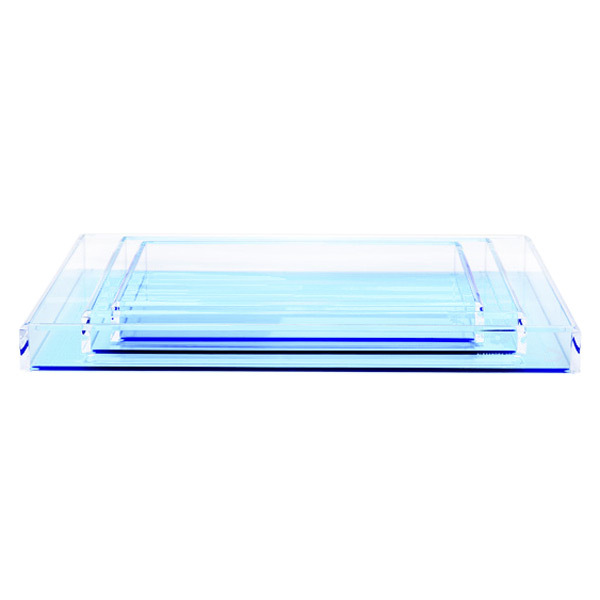 Fearless Cocktail Tray features: .